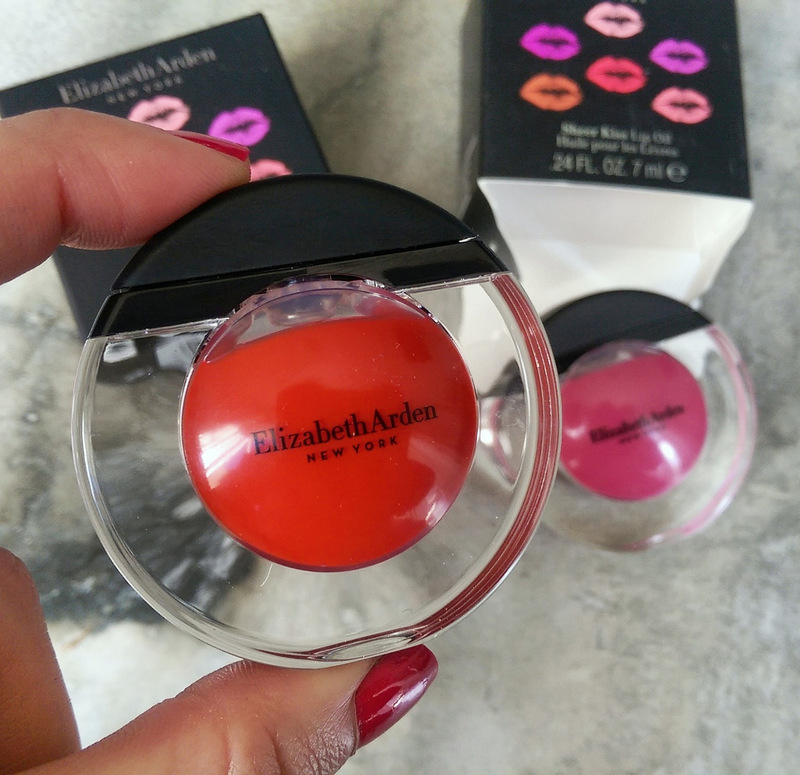 Elizabeth Arden recently launched a li’l mini collection called Tropical Escape consisting of super cute Sheer Kiss Lip Oils (R295, available in six shades) and the very lustable-looking FourEver Bronze contouring powder (R550, available in Medium and Deep). 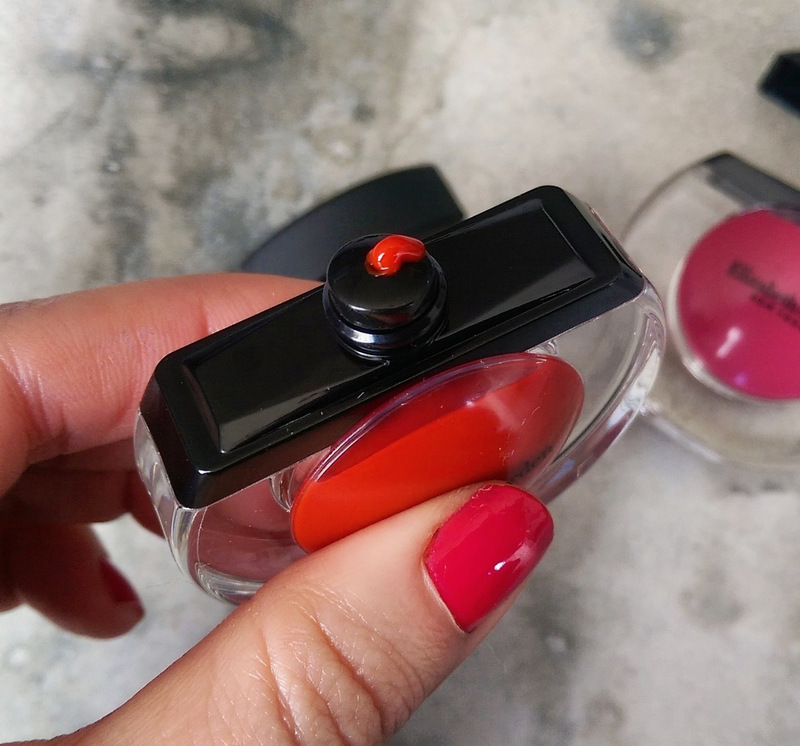 The Sheer Kiss Lip Oil’s packaging is pretty unique – a lip oil housed in a sturdy plastic orb with a squishy centre that you press to release the colour. As far as the formula goes, the best way to describe it is as a minty-smelling oil-infused non-sticky lipgloss that’s actually quite pigmented depending on which colour you buy. The red shade, Rejuvenate Red, is a bit more sheer but the other colour I’ve gotten to try, Heavenly Rose, is less so. 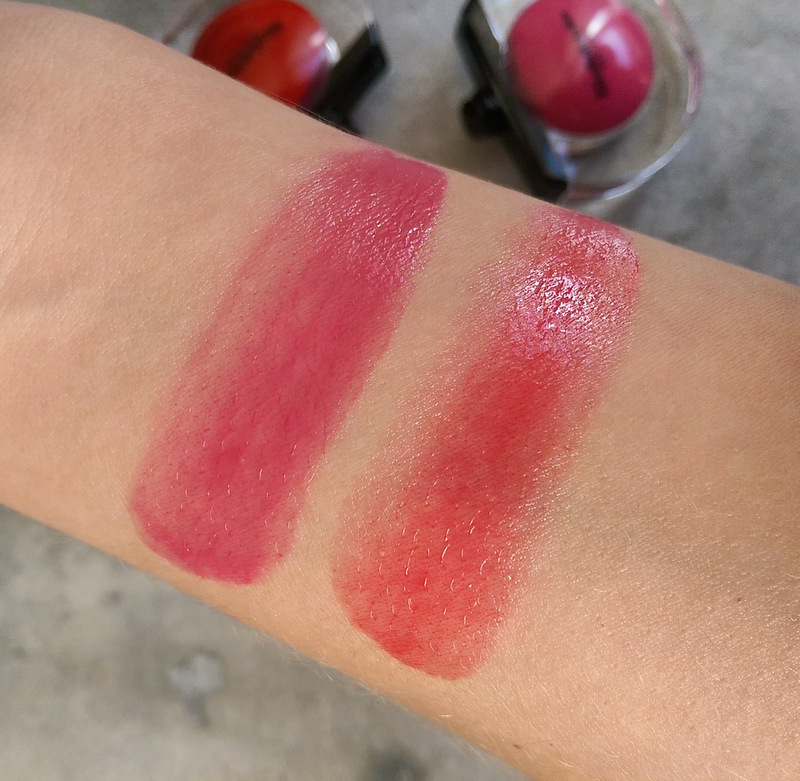 Heavenly Rose on the left and Rejuvenate Red on the right. As far as the oil bit goes, Arden’s picked some nice ones – coconut, avo, tsubaki (Japanese Camellia) and meadowfoam – as they’re all rich in antioxidant vitamins. They’ve also included something called splianthes acmella flower extract, a botanical that, some have said, can help firm and smooth your skin. 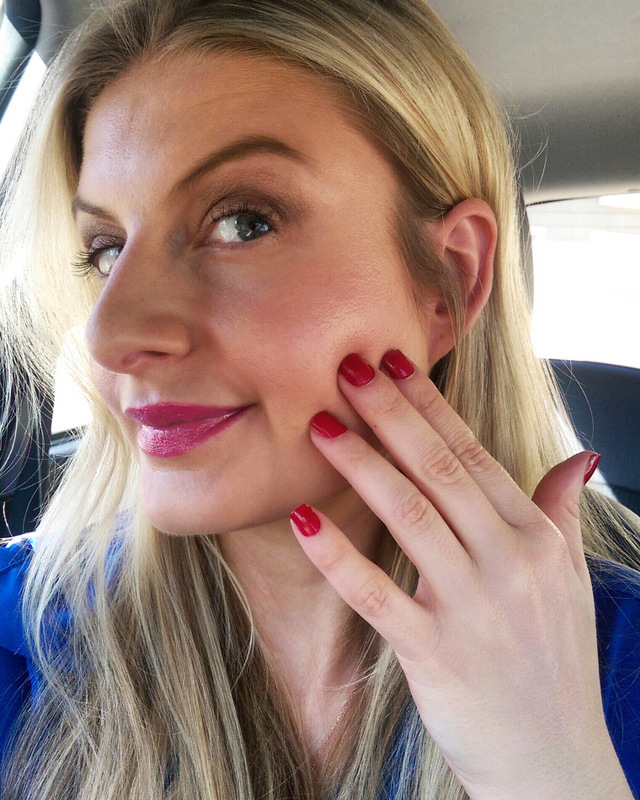 I’ve been wearing Heavenly Rose on and off and, despite feeling fabulously moisturising, the colour doesn’t slide off your lips in a flash. But like most glosses that have a lot of ‘slip’ to them, you’re going to have to reapply it often. The fact that it’s in a li’l squish bubble, however, makes it fun and it’s always a talking point when I pull it out of my bag. I actually took this shot randomly while applying it my car (pre-bronzer) to test the light and it came out great. Ha! As for the bronzer, how pretty?! 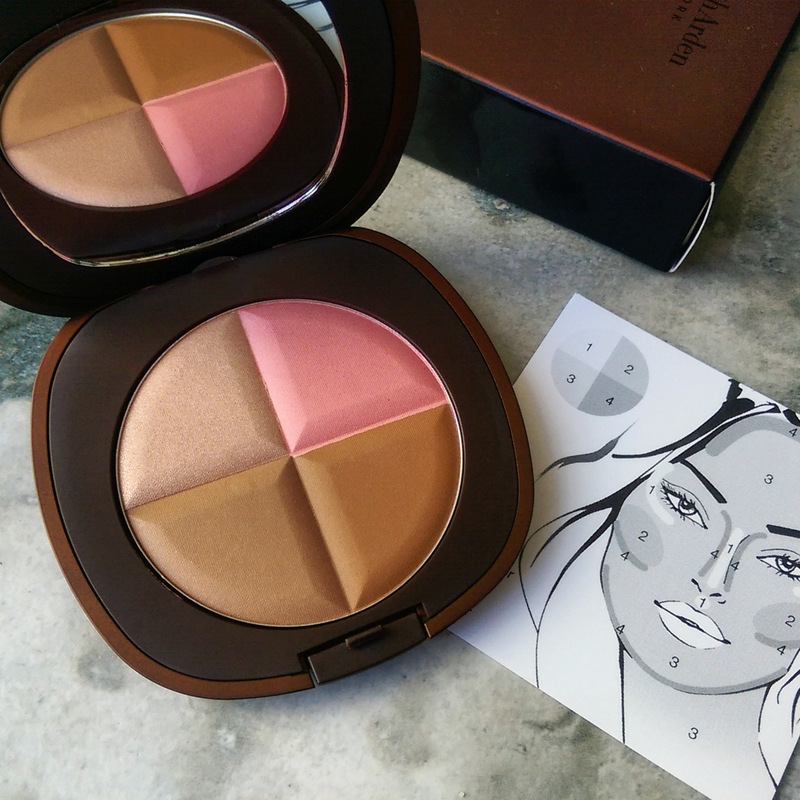 It reminds me so much of a quad bronzer Guerlain used to make but at a snip of the price. This shade is called Medium. There isn’t a ‘Light’ and while I’m pretty fair it’s a perfect fit. Arden included a little diagram to show you how you can use each colour to contour and highlight your face but I didn’t manage to get that right. Used separately the colours lack a pigment punch. Also, getting a brush into each tiny square without touching the other isn’t the easiest thing to do. Thus, I’ve been swirling it all up and applying it as I would a regular bronzer and the effect is very natural-looking. I also like that the powder is finely milled and has a very slight glimmer to it so you a get a look that’s luminous but not sparkly. (Bronzer with too much shimmer in it only serves to draw attention to your pores and anything with glitter chunks in it is like my idea of a nightmare.) In fact, if anything, the powder softens the look of imperfections thanks to soft-focus micro-fine particles. Another plus point? It’s infused with vitamins C and E (hey, every little bit counts!) and hydrating hyaluronic acid. Now all Arden needs to do is make a bronzer for my corpse-like hand! If you’ve seen anything you’d like to try know you’ll find it at the Arden counters right now. wow! that packaging is so cool! Love the look of these!! !